Mark is an expert quantity surveyor, author, public speaker and property developer. With 20+ years experience in the construction and quantity surveying industry Mark’s specialist expertise have been sought in consultant capacity by professional bodies such as the National Institute of Accountants and the National Tax and Accountants Association, and he has presented at various property and tax seminars and expos nationwide. Mark’s detailed understanding of relevant legislation, combined with his acute attention to detail have culminated in the development of the industry’s most comprehensive and detailed inspection and reporting tools, designed to maximise every claim for investors. Mark is passionate about improving the affordability of investment property ownership and believes depreciation is a key to achieving this. By providing a premium service at a competitive cost, Capital Claims ensures that its clients are achieving the maximum tax saving possible. Mark worked for nearly 10 years with Australia’s largest tax depreciation provider, many as an Associate Director, before establishing his own business with Capital Claims Tax Depreciation. His desire and commitment to offering a personalised service that focuses on people, relationships and results has seen Capital Claims Tax Depreciation grow to become a leading provider of tax depreciation services for investors. 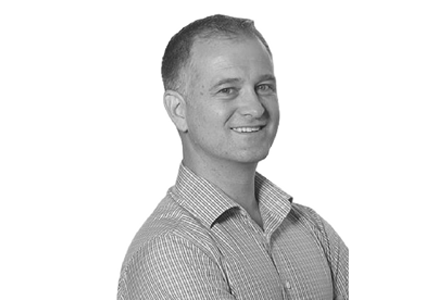 Mark holds a Bachelor of Construction Management from the University of Newcastle, is an affiliate member of the Australian Institute of Quantity Surveyors and a Registered Tax Agent.